How do I receive my corporate discount? How often do your shuttles run? Where will they drop me off? When should I arrive at Thrifty Airport Parking? How can I get a Thrifty Preferred Rewards Card? When will my Preferred Rewards points appear on my account? How can I tell if I have enough points for free parking? Can I redeem points for part of my parking? I forgot to use my Preferred Rewards card. How do I receive credit? My Thrifty Preferred Rewards card is damaged, lost or stolen. How can I get a new card? Reservations are recommended, but not required. A reservation, with a small refundable deposit, will guarantee you a space and is highly recommended for peak travel times. Reservations may be made entering your location and travel dates in the reservation module to the on the right side of this page. Then click on “Get Quote” and you will be quoted the parking rates and have the opportunity to book your reservation. 3. Why do you ask for a deposit? The deposit (equal to your first day’s parking rate) is to hold your parking space. If you fail to show for your reservation, without cancelling, we will keep your deposit. If you cancel your reservation more than 12 hours prior to your scheduled arrival at our lot, your deposit will be fully refunded. 4. How do I change or cancel a reservation? You can cancel your reservation through the “cancel reservation” link that is located at the bottom of your e-mail voucher. If you need another copy of your voucher, use “Look Up Reservation“. Contact us for assistance in changing or canceling your reservation. There is no fee to change a reservation. If you cancel at least 12 hours prior to your scheduled arrival time, your deposit will be credited to the credit card you used to book the reservation. 5. How do I receive my corporate discount? To receive your corporate discount, log-in at the top of the reservation module before entering your location, travel dates and clicking the “Get Quote” button. You will then be quoted your corporate rate. As a corporate customer you already receive a discounted rate and may not combine your corporate discount rate with any other discount or PROMO code. If you would rather use the promo code, you need to log out of the site and then place your reservation at our current web rate. 7. Are you always open? Most of our locations operate 24 hours a day, 365 days a year. Please check on the individual location page for exact operating hours. 8. How often do your shuttles run? Where will they drop me off? Thrifty Courtesy Shuttles run every five to seven minutes to and from the airport terminals. You will be picked up at your vehicle and driven to a shuttle stop at your airport terminal. When you return, you will be picked up at the same place you were dropped off and returned to your vehicle. 9. When should I arrive at Thrifty Airport Parking? Please allow an additional 12 to 15 minutes versus daily parking at the airport. 10. How can I get a Thrifty Preferred Rewards Card? Click on Rewards on the menu bar at the top of the page. 11. When will my Preferred Rewards points appear on my account? Please allow up to 72 hours for your points to post to your account. If your points do not post to your account within this timeframe, you can apply for missing credit by signing into your Preferred Rewards Account. See question 17 below. 12. How do I redeem points for free parking? 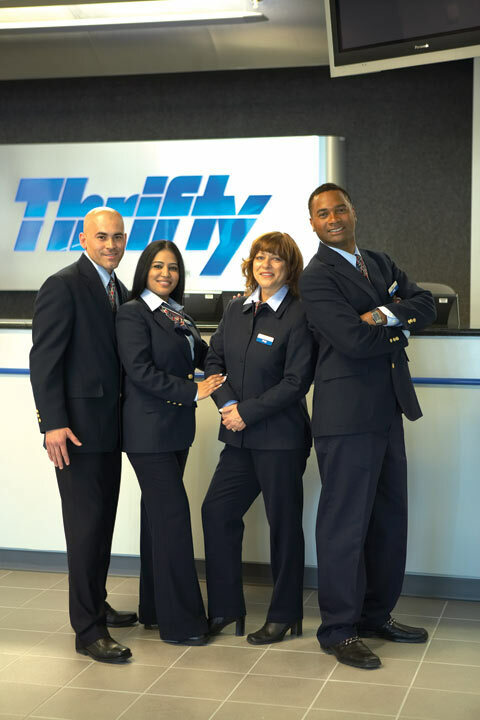 Make sure you are logged into your Thrifty parking account, then when making your reservation online, choose how many Rewards points you would like to redeem. 13. How do I view my point balance? Just sign in and select Profile on the home page. Once you are at your profile, you can see all of your point balances as well as update your personal information. 14. How can I tell if I have enough points for free parking? 12 points equals one day of free parking. Check your point balance and divide by 12 to determine the number of free days. 15. Can I redeem points for part of my parking? 16. I forgot to use my Preferred Rewards card. How do I receive credit? Click on Contact Us in the Menu at the top of this page. Fill out the form for Thrifty Preferred Rewards and click Submit. Our Customer Service team will apply the credits to your account, and confirm back to you via e-mail when applied. 17. My Thrifty Preferred Rewards card is damaged, lost or stolen. How can I get a new card? Click on Contact Us in the menu bar at the top of this page. Fill out the online form for Thrifty Preferred Rewards. Submit the necessary information and in Comments be sure to state that you need a replacement card. A replacement card will be sent within three to four weeks and the points from the old card will be transferred automatically. While waiting for your new card to arrive, save all of your ticket(s) and report any missing credits using the same online form on the Contact Us page. 18. I forgot my User Name or password? Contact Support. Your user name is the e-mail you used to register. If you cannot remember it, contact us and we will help you figure it out. For a forgotten password, go to the Thrifty Preferred Rewards tab at the top of this page. You will be asked to enter your Parking Location, Last Name, & registered email address. Your password will then be sent to you via e-mail. 19. How do I update my e-mail address/password? Login and click on Profile at the top right corner of the Home page. Update your email address and submit. Your account will be updated immediately. 20. How do I update my credit card information? Have a question? Don’t hesitate to ask the experts! If you cannot find what you’re looking for, please complete the form on our ‘Contact Us’ page.